The use of Plastic Mulch helps growers improve early planting as well as moisture retention. Used around the world, this product has contributed to a variety of economic savings for successful crop development. Andros now offers single and multiple row platforms designed to provide confidence to growers applying these products. 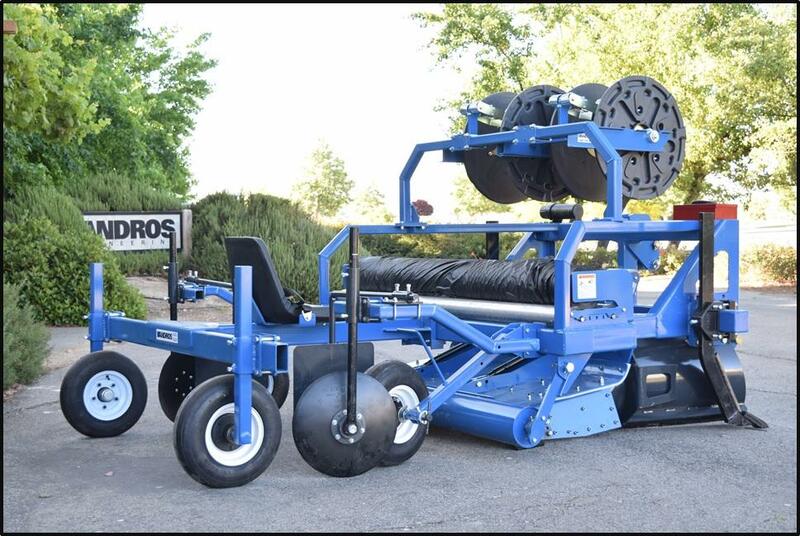 Built for small and production growers, the Andros engineered platform provides strength where it counts, and allow growers input to correctly match our product to their operation. Engineered with the latest design software, Andros’s combination precision laser components and tubular design provides application accuracy, and equipment dependability for your investment. No matter what types of soil, or available tractor, Andros will customize your purchase to suit your application. Rear or Forward Operator Cushion Seats. Precision Series III Spool Carriers.